M.L Moody told the story of a man who was crossing Atlantic Ocean by ship. He was terribly seasick and confined to his cabinet. One night he hard the cry “ man overboard ” which meant that someone had fallen into the ocean. But he felt that there was nothing he could to help. Then he said to himself, “ I can at least put my lantern in the porthole (window)” . He struggled to his feet and hung the light so it WO LD shine out into the darkness . It was the little light that revealed the little hand which the resuer in the lifeboat saw. In the consequence of the above 2 Timothy 1:15-16 says “ You know that everyone in the province of Asia has deserted me, including Phygelus and Hermogenes. May the Lord show mercy to the household of Onesiphorus, because he often refreshed me and was not ashamed of my chains. From the scripture aforementioned, this was the lamentations of Paul when he passing through difficult times in life. He was impri, afflicted and n deep sorrow. Yet , people who should have sources of joy and encouragement to him forsook , abandoned and deserted him. However, God who does not forsake His own touched the heart of Onesiphorous, who became a source of joy and encouragement to Paul. In our days, there are people like Paul who are discouraged, frustrated, depressed and in chains. Some are the point of giving up, quitting and even committing suicide. This is why God is ministering to every reader of this piece to be an encouragement to someone in pains, a source of joy and hope to the hopeless, a solution to someone’s problems and a relief to those in distress. It takes a conscious effort and determination on your part to always and continuously be an encouragement to someone. By so doing, you are obeying the word of God. To be an encouragement to people, you have to learn to; think about others, think about Jesus and think about eternity. Someone said, pur lives are God’s gifts to us. What we do with them is our gift to God. Help someone to sing and rejoice again. “Let no man despise thy youth; but be thou an example of the believers, in word, in conversation, in charity, in spirit, in faith, in purity.” 1 Timothy‬ ‭4:12‬. Nonetheless, in whatever way or shade distractions come, refuse to allow them. Understand that as a Christian, especially when you’re making an impact with the Gospel, you’ll face persecutions; there’ll be those who’ll be against you, or even hate you, but that shouldn’t be a surprise to you at all. Jesus said, _“..
"And when the Lord saw her,he had compassion on her,and said unto her, weep not"Luke 7:13. Niemöller wasn’t able to resist fear because he possessed some superhuman antifear gene, but because of God’s grace. In fact, he had once held anti-Semitic views. But he had repented and God restored him and helped him speak and live out the truth. Moses encouraged the Israelites to resist fear and follow God in truth. When they’d become fearful after learning Moses would soon be taken from them, the leader had an unflinching word for them: “Be strong and courageous. Do not be afraid or terrified . . . for the Lord your God goes with you” (Deuteronomy 31:6). There was no reason to tremble before an uncertain future because of one reason: God was with them. Whatever darkness looms for you, whatever terrors bombard you—God is with you. By God’s mercy, may you face your fears with the knowledge that God “will never leave you nor forsake you” (vv. 6, 8). What fears are you facing? How does God’s presence bring courage to your heart? Lord, when things arise in our lives that cause us to be fearful of what may happen please set our hearts at ease and remind us that whatever happens, You are already there and will lead us through. Thank You Lord. In Jesus' name we pray. Amen! Working in the corporate world allowed me to interact with many talented and levelheaded people. However, one project led by an out-of-town supervisor was an exception. Regardless of our team’s progress, this manager harshly criticized our work and demanded more effort during each weekly status phone call. These run-ins left me discouraged and fearful. At times, I wanted to quit. It’s possible that Moses felt like quitting when he encountered Pharaoh during the plague of darkness. God had hurled eight other epic disasters at Egypt, and Pharaoh finally exploded, “[Moses,] get out of my sight! Make sure you do not appear before me again! The day you see my face you will die” (Exodus 10:28). Despite this threat, Moses eventually was used by God to free the Israelites from Pharaoh’s control. “[By faith] Moses left the land of Egypt, not fearing the king’s anger. 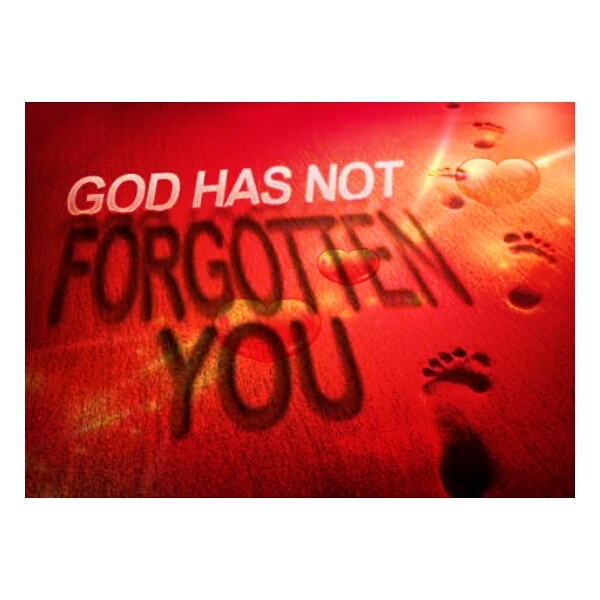 He kept right on going because he kept his eyes on the one who is invisible” (Hebrews 11:27 nlt). Moses overcame Pharaoh by believing that God would keep His promise of deliverance (Exodus 3:17). Today, we can rely on the promise that God is with us in every situation, supporting us through His Holy Spirit. He helps us resist the pressure of intimidation and wrong responses to it by granting us supernatural power, love, and self-control (2 Timothy 1:7). The Spirit provides the courage we need to keep going and to follow God’s leading in our lives. What types of situations upset you? How can you rely on God? Lord, as we go about our day help us to keep our eyes on you, specially when we are upset with other people. Protect us, guide us and help us to trust You in every situation. In Jesus' name we pray. Amen! I have met thousands of people who told me that they want to be used by God but who will never be used by God. Why? They are too busy. They have got their own agenda going. They have got their plans , dreams and ambitions, and the they don't have any time! In the midst of their busyness, they try to carve out a little silver from pie of life and say, “ I’ ll give this to God.” But it doesn't work that way. You have got to decide whom you are going to please first and always in life. You can only have one number one. You cannot please men and God at the same time. There is nothing wrong with these things ; watching television, surfing the internet, going for sports , etc but if they distract you from the most important things , then you need to let go of them. Maybe you refuse to let go of your past -whether it's guilt or resentment or grief. But if you are stuck in the past, you cannot get on with the present , and you certainly cannot get on with God's future for you. Your past is past! It is over ! You need to let it go. As legitimate as these are , they are major distraction from God's plan for many saints today. There is nothing wrong in giving due time, attention and diligence to your career , business and profession. However, when they start taking the place of God and His plan for us which is the Salvation of Souls and our spiritual growth , then something must be done. If it is becoming an habit two skip weekly bible study and prayer meetings, then it is time to re-strategize and let some things to go. What do you need to let go of? The Bible says in 1 Corinthians 10:23, NIV:“I have the right to do anything,” you say—but not everything is beneficial. “I have the right to do anything”—but not everything is constructive. If the devil cannot make you bad , he will make you busy. He will get you so busy that you do not have time for the important stuff -time alone with God , ministry, and mission. You need to simplify your life and eliminate distractions so God can use you. Do not try to do it all. Do what matters most!. Being born again, you were born into the environment called “Christ.” Christ is a person, and Christ is also a place. So you’re in Christ; that’s your domicile; that’s where you operate from as a child of God. Now that you’re in Christ, the Holy Spirit is leading and guiding you, but that doesn’t mean there won’t be temptations on your path; lots of distractions, to try to sway you off God’s course for your life; but you must keep your focus, and refuse to be distracted. In the journey of life, many things will fight for your attention. It may be financial concerns, the growing trend of infectious and medically incurable diseases, concerns about the welfare of your family, concerns about your job or business, security concerns, etc. But you must make up your mind to give attention only to the Word of God. Put your trust in the Lord and His unfailing Word. You’re to live in this world the way Abraham and other heroes of faith in the Bible did. Hebrews 11:13-16 says, “These all…confessed that they were strangers and pilgrims on the earth. For they that say such things declare plainly that they seek a country. And truly, if they had been mindful of that country from whence they came out, they might have had opportunity to have returned. But now they desire a better country, that is, an heavenly….” They lived as strangers; they didn’t live as citizens of this world; they didn’t live according to the system of this world. Isaiah 50:7 NLT Because the Sovereign Lord helps me, I will not be disgraced. Therefore, I have set my face like a stone, determined to do his will. And I know that I will not be put to shame. 1 Corinthians 10:13 There hath no temptation taken you but such as is common to man: but God [is] faithful, who will not suffer you to be tempted above that ye are able; but will with the temptation also make a way to escape, that ye may be able to bear [it]. Colossians 3:1-2 If ye then be risen with Christ, seek those things which are above, where Christ sitteth on the right hand of God. 2 Set your affection on things above, not on things on the earth. Beware of familiar voices -And when he putteth forth his own sheep, he goeth before them, and the sheep follow him: for they know his voice. And a stranger will they not follow, but will flee from him: for they know not the voice of strangers (John 10:4-5). That the voice you heard, or are hearing, is a familiar one doesn’t necessarily mean it’s God-sent to you. So, be wise, and know the difference between the voice that God sent to you and the voice of a stranger. A stranger will bring you a different message and lead you in the wrong path (See Deuteronomy 13:1-3). Many times, people wish and hope that a stranger would confirm God’s message to them, thinking it’s more supernatural or spectacular when someone they’ve never known confirms God’s Word to them. But that’s not God’s way of doing things. God is most likely to send to you the one you’ve known, to confirm His Word to your spirit, not the one that you’ve never known. Therefore, always be sure that the voice you’re harkening to or that’s leading you, and confirming your thoughts and prophecy, is the voice of God, or the voice of the one He’s sent to you. There’s no true child of God that wouldn’t know or recognise the voice of the Holy Spirit. Jesus said, “My sheep hear my voice, and I know them, and they follow me” (John 10:27). In our opening scripture, He said, “And a stranger will they not follow, but will flee from him: for they know not the voice of strangers” (John 10:5). The problem with many is that they ignore His voice. Listen for God’s voice and direction in His Word, because He’ll speak to you through His Word, and by the Holy Spirit. Psalm 16:7 TLB I will bless the Lord who counsels me; he gives me wisdom in the night. He tells me what to do. Isaiah 30:21 And thine ears shall hear a word behind thee, saying, This [is] the way, walk ye in it, when ye turn to the right hand, and when ye turn to the left. John 10:27-28 My sheep hear my voice, and I know them, and they follow me: 28 And I give unto them eternal life; and they shall never perish, neither shall any [man] pluck them out of my hand. If you are willing and obedient, you shall eat the good of the land. Isaiah 1:19. A healthy body. Enough money to pay all your bills and extra to invest in the work of the Gospel. A godly marriage and happy, healthy children. Peace of mind. God has prepared a banquet full of blessings for you.But, those blessings are not just going to fall in your lap. You must be willing - as well as obedient - if you're going to eat the best from God's table. To be willing and obedient to God implies being unwilling and disobedient to Satan. You must resist the devil and reject lie. Don't be willing for Satan to put sickness on your body. Be willing, instead, to be healed! In honor of Jesus' sacrifice at Calvary, refuse to except anything less than divine health. Don't be willing to live in lack, but be willing instead to live in divine prosperity and abundance. Refuse to allow Satan to stop the flow of God's financial blessings to you. Be willing to receive God's best plan for your marriage and your children. Don't settle for the "norm" in the world. Live above it in a home full of love and harmony, a home that is what God meant it to be. Don't allow Satan to substitute anxiety and ulcers for the peace and rest that Jesus bought for you. Be willing and obedient to cast all your cares on Him, for He cares for you! Refuse to be robbed of the banquet of blessings that have belong to you since you became a believer. Be willing to eat the good of the land! Isaiah 1:10-20; 10 Hear the word of the Lord, You rulers of Sodom; Give ear to the law of our God, You people of Gomorrah: 11 "To what purpose is the multitude of your sacrifices to Me?" Says the Lord. "I have had enough of burnt offerings of rams And the fat of fed cattle. I do not delight in the blood of bulls, Or of lambs or goats. 12 "When you come to appear before Me, Who has required this from your hand, To trample My courts? 13 Bring no more futile sacrifices; Incense is an abomination to Me. The New Moons, the Sabbaths, and the calling of assemblies — I cannot endure iniquity and the sacred meeting. 14 Your New Moons and your appointed feasts My soul hates; They are a trouble to Me, I am weary of bearing them. 15 When you spread out your hands, I will hide My eyes from you; Even though you make many prayers, I will not hear. Your hands are full of blood. 16 "Wash yourselves, make yourselves clean; Put away the evil of your doings from before My eyes. Cease to do evil, 17 Learn to do good; Seek justice, Rebuke the oppressor; Defend the fatherless, Plead for the widow. 18 "Come now, and let us reason together," Says the Lord, "Though your sins are like scarlet, They shall be as white as snow; Though they are red like crimson, They shall be as wool.19 If you are willing and obedient, You shall eat the good of the land; 20 But if you refuse and rebel, You shall be devoured by the sword"; For the mouth of the Lord has spoken. Refuse to be distracted today. 1.Thank you, heavenly Father, for the privilege to be taught and instructed in, and by, your Word. Your Word is my guiding light and the reservoir from which I make choices and decisions. I’m sensitive to the leading and guidance of the Holy Spirit, as I meditate on the Word, in Jesus’ Name. Amen. 2.By faith, reject every curse the devil has put on your life, and release the blessing of divine health and prosperity on your life. 3.Dear heavenly Father, I thank you for the life I have in Christ, a life of splendour, success and victory. Your Word and your will being established in the earth are my priority; therefore, I refuse to be distracted, in Jesus’ Name. Amen. I decree into your life today that the beginning of this week that; Success will accompany you in every step you take this year. The Goodness and Grace of the Almighty God will follow you wherever you go this week. The Lord will establish His convenant with You and Your Household this week.I declare this week that gates and doors shut against your health, progress and success are lifted up and opened up.The King of glory shall come into your situation.The Almighty God will supply all your needs and grant the desires of your heart. The lord will calm your storms and level your mountains in Jesus name. Any power under the sun making life difficult for you will be disgraced today by fire. Every covenant standing against your prosperity is nullified by the blood of Jesus. To make a reasonable progress will not be difficult for you. The rest of this year will favour you and your households.You will not missed your benefit again.End of the year evils shall not be for you and your households. Your ways shall be filled with prosperity and joy in Jesus name. Today will be better than the past days in your life. You will enjoy the goodness of God and man today.The Lord will always be with you and his presence shall not depart from you. Any power under the sun making life difficult for you shall be disgraced today. Because of the mercy of God will locate you today, the power that lifted the heaven above the earth without pillars shall lift you up to the greater height of your life.I pray that the bridge linking you with failure, disgrace, shame and poverty is destroyed by mercy today.The high and thick fence isolating you from your helpers shall be destroyed today by the mercy of God.Mercy will relocate you today from a debtor, to become a creditor, from single to married, from employee to employer, from failure to success and from weakness to strength. Mercy will relocate you to your right position.I pray that every issue that makes you sad shall begin to vanish and events that will make you happy will begin to emerge by the mercy of God Almighty in Jesus name. Today will be better than the past days in your life. You will enjoy the goodness of God and man today.The Lord will always be with you and his presence shall not depart from you.Any power under the sun making life difficult for you shall be disgraced today.Because of the mercy of God will locate you today, the power that lifted the heaven above the earth without pillars shall lift you up to the greater height of your life. I pray that the bridge linking you with failure, disgrace, shame and poverty is destroyed by mercy today. The high and thick fence isolating you from your helpers shall be destroyed today by the mercy of God.Mercy will relocate you today from a debtor, to become a creditor, from single to married, from employee to employer, from failure to success and from weakness to strength.Mercy will relocate you to your right position.I pray that every issue that makes you sad shall begin to vanish and events that will make you happy will begin to emerge by the mercy of God Almighty in Jesus name. I decree into your life that; Every evil altar raised against you and your family will be roasted by fire today.Every anti-progress altar fashion against you and your family will scatter by thunder of the holy ghost.Evil altar of set back raised against you and your family will catch fire and never exist again.Evil altar that hold your success in captive will brack into pieces today. By fire, by thunder, your name on the evil altar will turn to fire, and destroy both the altar and the owner of the altar.Every evil ritual done on the evil altar against your success in life, will be destroy by fire.Every evil word uttered into your life from the evil altar will leave you alone and back fire in the name of Jesus. It is well with you and your household.